My friends—No one, not in my situation, can appreciate my feeling of sadness at this parting. To this place, and the kindness of these people, I owe every thing. Here I have lived a quarter of a century, and have passed from a young to an old man. Here my children have been born, and one is buried. I now leave, not knowing when, or whether ever, I may return, with a task before me greater than that which rested upon Washington. Without the assistance of the Divine Being, who ever attended him, I cannot succeed. With that assistance I cannot fail. Trusting in Him, who can go with me, and remain with you and be every where for good, let us confidently hope that all will yet be well. To His care commending you, as I hope in your prayers you will commend me, I bid you an affectionate farewell. Lincoln's heart was heavy. His old life was behind him. History tells us that he had very good reason to wonder "when, or whether ever" he would see his home again. The burdens upon him crushed him to the ground. Humbly he gave credit to his hometown and to his neighbors for all that he was, for all that he had attained. He said, and he knew, that he, by himself, was nothing. But bowed down to the ground though he was, he still could not but fix his eyes on heights heretofore unscaled by any American. He had always looked up thus. Before him he now saw a task greater than Washington's—greater than the founding of the nation. The arrogance of such a view (however obscured by sincere humility), as well as the historical accuracy of it, is striking. Leaving the safe haven of his little western town, Lincoln sensed that if he should succeed at his task, his achievement and, one would suppose, his fame would surpass that of Washington. The man from Illinois was fit for the task before him. Utter humility and strength rarely matched were his to the full. It is not surprising that he, a product of the Bible more than any American president before him or since, is so well summed up by an old Hasidic saying: "Everyone must have two pockets so that he can reach into one or the other, according to his needs. In his right pocket are to be the words 'For my sake was the world created,' and in his left, 'I am dust and ashes.' "
Lincoln was born on the Kentucky frontier in 1809, at the dawn of the Republic, to the nearly illiterate Thomas Lincoln and the probably illegitimate Nancy Hanks Lincoln. He was thus southern born, as were his parents, though his ancestry reached back to Pennsylvania and New England. In 1816 his family moved to the new state of Indiana and, as he reached adulthood, to Illinois. Raised to farm work in "a wild region," he found around him absolutely nothing to excite ambition for education. "Of course when I came of age," he recounted in his brief autobiography, "I did not know much." The Bible he did know and in a way and to an extent that are almost unknown to our times. It left deep marks on both his language and his morality. So too, but to a lesser degree, did Shakespeare, some history, poetry, and, as the years went on, Blackstone, Euclid, and liberal texts on economics. Because his reading was so limited and his mind so excellent, he dug very deeply into what he did study. Moreover, what he did study deserved to be studied. Thus it is not romantic to suggest that, his protestations notwithstanding, in fundamental ways Lincoln's education was fortunate. Lincoln's mother died when her son was nine years old. No small part of the tenderness of both Lincoln's public and private self can be tied to the young boy's loss. Indeed, the "riddle of mortality," to quote the historian Robert Bruce, became his intimate companion throughout life. His first exposure to the wider world came when, in 1828 and 1831, Lincoln traveled in a flatboat down the Mississippi to New Orleans. Thereafter, for many years, he found central Illinois to be good enough to stay in, first in the pioneer village of New Salem and then in Springfield. He volunteered to fight Indians as a citizen soldier, but saw no action. He started studying law. Later, he made fun of his military experience, removing it as far as possible from a real war experience, speaking of it as consisting of "bloody struggles with musquitos" and "charges upon wild onions." Being elected captain of volunteers did give him his first important indication of his gift for leading men—"a success," he wrote in 1859, "which gave me more pleasure than any I have had since." David Herbert Donald, Lincoln (New York, 1995), is by far the finest biography. However, with the book's focus on the pragmatic politician that Lincoln was, his ideas and moral convictions fade. Some of the glory that was Lincoln is missing. Carl Sandburg, Abraham Lincoln: The Prairie Years and the War Years , 6 vols. (New York, 1926–1939), is the long-beloved popular biography by a poet of note. William H. Herndon, Herndon's Life of Lincoln , ed. by Paul M. Angle (Greenwich, Conn., 1961), is the indispensable life, based on the research of Lincoln's law partner, Herndon, and ghostwritten by Jesse W. Weik. Earl Schenck Miers et al., eds., Lincoln Day by Day: A Chronology, 1809–1865 (Washington, D.C., 1960; rev. ed., Dayton, Ohio, 1991), an important reference work and the product of a generation of research by a group of scholars, traces Lincoln's daily activities through his entire life. Mark E. Neely, Jr., The Last Best Hope of Earth: Abraham Lincoln and the Promise of America (Cambridge, Mass., 1993), is the best brief portrait. Roy P. Basler, Marion Dolores Pratt, and Lloyd A. Dunlap, eds., The Collected Works of Abraham Lincoln , 9 vols. (New Brunswick, N.J., 1953–1955); Roy P. Basler, ed., Supplement, 1832–1865 (Westport, Conn., 1974); and Roy P. Basler and Christian O. Basler, eds., Second Supplement , 1848–1865 (New Brunswick, N.J., 1990), are standard editions of Lincoln's written and spoken words. See also Don E. Fehrenbacher and Virginia Fehrenbacher, eds. and comps., Recollected Words of Abraham Lincoln (Stanford, Calif., 1996). Richard N. Current, The Lincoln Nobody Knows (New York, 1958), consists of judicious essays on some of the controversial subjects of Lincoln's life and career. Charles B. Strozier, Lincoln's Quest for Union: Public and Private Meanings (New York, 1982), is a useful psychobiography. Michael Burlingame, The Inner World of Abraham Lincoln (Urbana, Ill., 1994), focuses on valuable and rarely used sources. Mark E. Neely, Jr., The Abraham Lincoln Encyclopedia (New York, 1982), is the best all-around reference work on Lincoln and associated subjects. Don E. Fehrenbacher, Prelude to Greatness: Lincoln in the 1850s (Stanford, Calif., 1962), is a perceptive analysis of Lincoln's public career in the 1850s. Philip Shaw Paludan, The Presidency of Abraham Lincoln (Lawrence, Kans., 1994), is an impressive synthesis. Gabor S. Boritt, Lincoln and the Economics of the American Dream (Urbana, Ill., 1994), is an interpretation of Lincoln through the examination of his economic persuasion. Mark E. Neely, Jr., The Fate of Liberty: Abraham Lincoln and Civil Liberties (New York, 1991), provides a fine summary of the president's approach to constitutional issues. La-Wanda Cox, Lincoln and Black Freedom: A Study in Presidential Leadership (Columbia, S.C., 1981), is the best analysis of the subject. Gabor S. Boritt, ed., Lincoln, the War President: The Gettysburg Lectures (New York, 1992), is a collection of essays by leading historians on Lincoln's approach to the war. Garry Wills, Lincoln at Gettysburg: The Words that Remade America (New York, 1992), is a provocative discussion of Lincoln's most famous speech. William B. Hanchett, The Lincoln Murder Conspiracies (Urbana, Ill., 1983), is the best historiographical study of the Lincoln assassination. Harold Holzer, Gabor S. Boritt, and Mark E. Neely, Jr., The Lincoln Image: Abraham Lincoln and the Popular Print (New York, 1984), is the only account of the shaping of Lincoln's image through etchings and lithographs, 1860–1865. Philip B. Kunhardt, Jr., Philip B. Kunhardt III, and Peter W. Kunhardt, Lincoln: An Illustrated Biography (New York, 1992), is the best pictorial history. James Mellon, ed., The Face of Lincoln (New York, 1979), is the finest work on Lincoln photographs. Merrill D. Peterson, Lincoln in American Memory (New York, 1994), goes beyond historiography to provide a readable appraisal of Lincoln's role in American culture over the past century and more. The two finest collections of Lincoln manuscripts are available on microfilm from the Library of Congress: Abraham Lincoln Papers, 97 reels; Herndon-Weik Papers, 15 reels. In addition, a major documentary project promises much new insight into Lincoln's career. The Lincoln Legal Papers, directed by Cullom B. Davis in Springfield, Illinois, will be published in upcoming years on CD-ROM. Recent works include Lerone Bennett, Jr., Forced Into Glory: Abraham Lincoln's White Dream (Chicago, 2000); Gabor Boritt, ed., The Lincoln Enigma: The Changing Faces of an American Icon (New York, 2001); George P. Fletcher, Our Secret Constitution: How Lincoln Redefined American Democracy (New York, 2001); William Lee Miller, Lincoln's Virtues: An Ethical Biography (New York, 2002); Ronald C. White, Lincoln's Greatest Speech: The Second Inaugural (New York, 2002); and Jay Winik, April 1865: The Month That Saved America (New York, 2001). AMAZING SITE!!! !VERY HELPFUL FOR MY RESERCH! THANK YOU IT WAS AMZING!!!! THANX,....THIS HELPED ME SOO MUCH ON MY RESEARCH PAPER...IT TOOK ME A WHILE TO FIND A SITE LIKE THIS...THANX A LOT...! Thanx soo much....this site helped me a lot on my research paper...i've wated a looong time to find a site like this..well thanx a lot.....!! I think of myself as a good historian of the 19th century. After reading this information I have greatly expanded my knowledge on the civil war and its "Man of All Seasons" President Abraham Lincoln. thank you for the awsome information, im SOOO going to get an A+ on my test!! 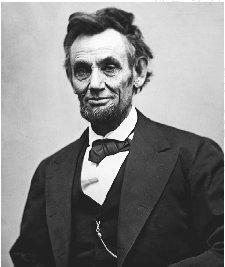 Thank you for Lincoln's focus on reconciling the nation and the toll the war took on him. We need his ilk today! Ted Magnuson, speaker. 'Those Self Evident Truths' my audio CD traces democracy from the Divine Right of Kings to Mr. Lincoln's plea that the nation 'Of the people, By the people and For the people not perish from the Earth. Amen, Mr Lincoln. It has been a long time coming! one question: Where did he get his supportfrom..like what state?? thats all i need to kno. Thank you so much. Had not been for this site, I would have probably failed my history class. Wow this is great. I'm working on a project on Lincoln and how the war took a heavy toll on him. This site is one of the few that actually talk about Lincoln throughout the war not even the whitehouse site does that. It took forever to get info from other sources but this one really helped thankyou for such a great site.